Pollard Hopewell was born in St. Mary’s County, Maryland between 1786 and 1789. He was raised by his uncle James Hopewell after both his parents died in the 1790s. On June 4, 1812, Pollard Hopewell joined the Navy as a Midshipman and was assigned to the frigate Chesapeake on August 21, 1812. The 152-foot Chesapeake was one of six wooden frigates that “formed the nucleus of the fledgling U.S. Navy.” The Chesapeake, captained by James Lawrence, put out to sea from Boston and met the British frigate Shannon on June 1, 1813. The two ships fought a short battle and the Chesapeake was disabled by two quick broadsides. The British then stormed onto the Chesapeake’s decks and engaged the U.S. crew in hand-to-hand combat. One hundred and forty six crew members out of three hundred were killed, including Pollard Hopewell and Captain Lawrence. 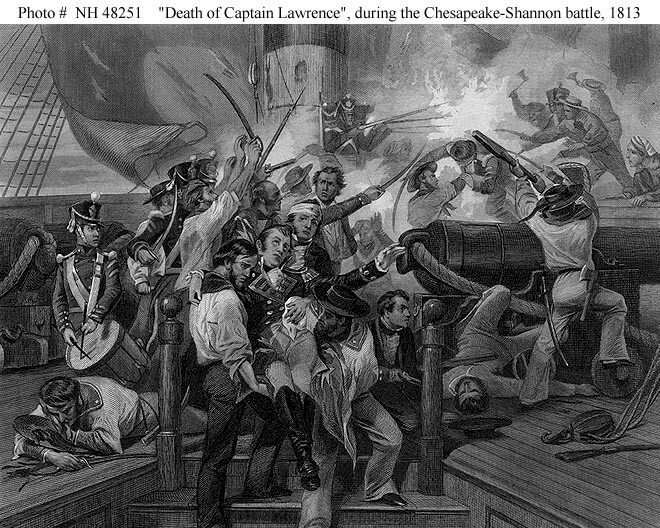 Yet Captain Lawrence’s famous cry to his men – “Don’t give up the ship” – became the Navy motto. The motto was perhaps the only good thing to come out of the battle, since the Chesapeake was captured by the British and recommissioned the HMS Chesapeake. But the HMS Chesapeake never saw another engagement; its lackluster career in the Royal Navy ended in 1820 when the ship was broken up and its wood sold for construction. A death notice in the Poulson’s American Daily Advertiser cited Hopewell as “a promising youth.” As a result of his place in this famous battle, Pollard Hopewell later had a U.S. Naval Ship named after him. The USS Hopewell was commissioned in 1943 and was sunk as a target in 1972. Associated Press. “’Don’t Give Up the Ship!’; Historian Urges Preservation of Mill Made From Frigate.” The Washington Post, April 15, 2001. http://proquest.umi.com/pqdweb?index=0&did=71316035&SrchMode=2&sid=3&Fmt=3&VInst=PROD&VType=PQD&RQT=309&VName=PQD&TS=1332126308&clientId=41159. “Pollard Hopewell.” Poulson’s American Daily Advertiser 07-01-1813, XLII, 11422, . Philadelphia, Pennsylvania. “USS Hopewell.” Destroyer History Foundation. 2010. http://destroyerhistory.org/fletcherclass/ns_hopewell/. 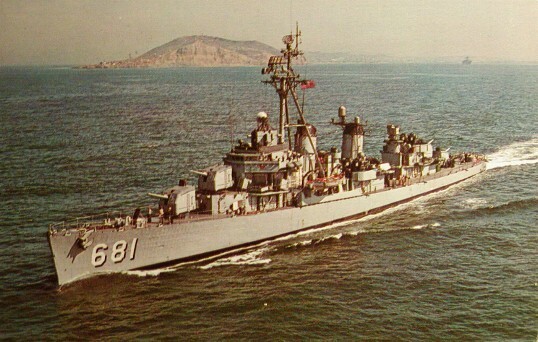 “USS Hopewell: (DD-681).” NavSource Naval History. 2012. http://www.navsource.org/archives/05/681.htm.